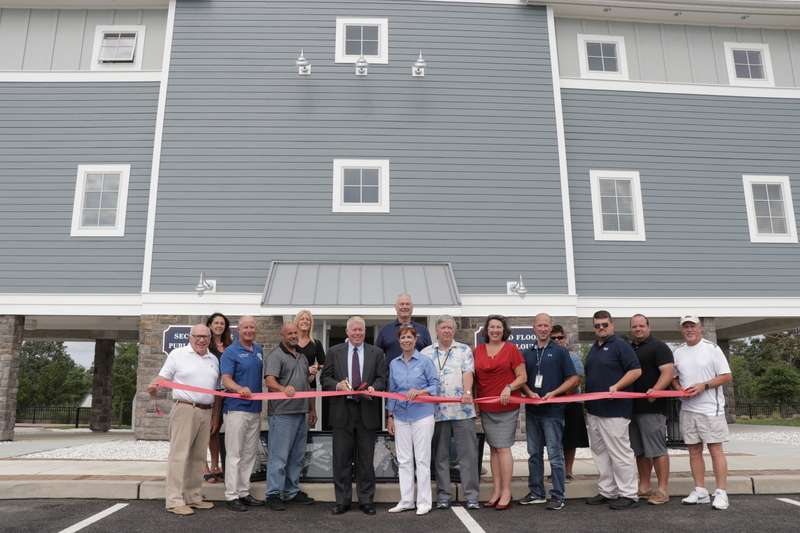 A boaters’ lounge which was required to be built at Traders Cove Marina under the terms of previous grants accepted by the township has been completed, with officials saying the nearly $1.4 million facility will make the marina more attractive to transient slipholders – boaters who dock for short periods of time. The building will provide a facility for transient boat slip customers with showers, restrooms, a lounge and laundry facilities. Officials gathered for its ribbon-cutting ceremony on Wednesday. 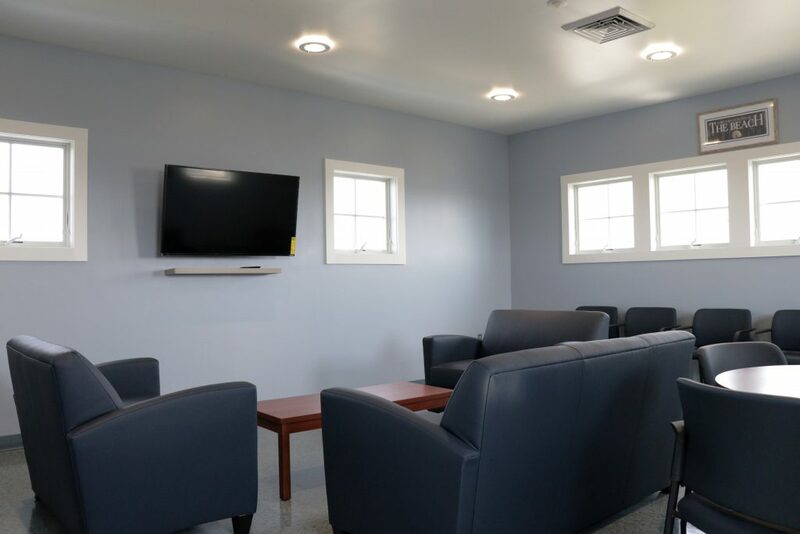 The boaters’ lounge provides restrooms for the public as well as a lounge, laundry facility, restrooms and showers for transient boaters. The transient boater facilities will be accessible with key-codes that are provided to customers. The cost of the transient boaters lounge facility was $1,396,960 and was funded in the 2013 capital budget. 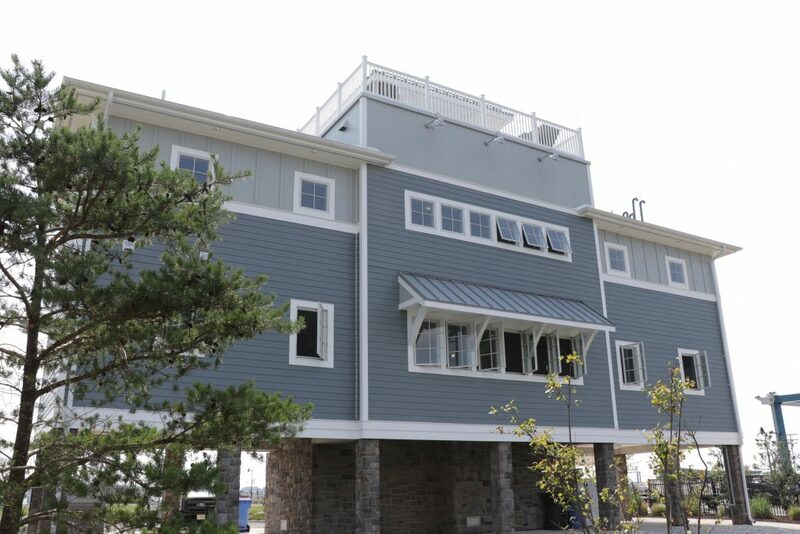 The township has received a National Boating Infrastructure Grant in the amount of $807,501 for the transient boating component of Traders Cove including the installation of a transient boating dock, gangway and the building. Construction of the lounge was required since the township previously accepted the grant money. The building was designed by Barlo, Governale and Associates and was constructed by Wallace Brothers Construction, which are both located in Brick. Anyone looking for information on Traders Cove and the availability of transient boating slips can call 732-920-7373.